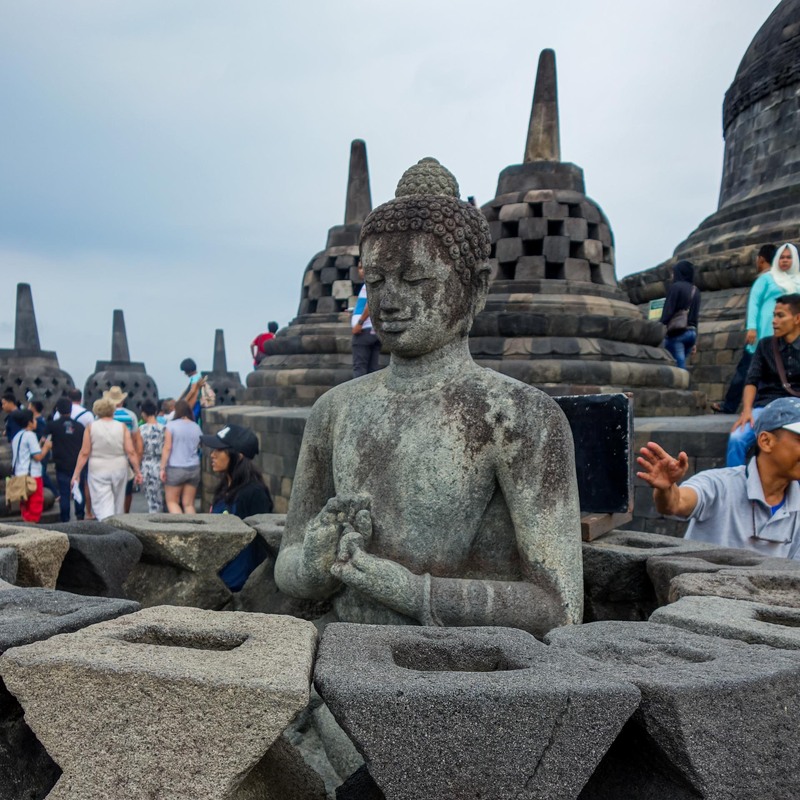 Yogyakarta – Borobodur temples: The encased Buddahs infuse the tourist busy place with a certain calmth. Published 24. April 2016 at 1920 × 1920 in Yogyakarta – Borobodur temples: The encased Buddahs infuse the tourist busy place with a certain calmth.